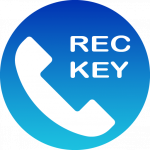 Starting from ver 6.7 Call Recorder Pro was renamed to Call Recorder Key app and can not be used for recording phone calls any more. Please install Call Recorder free version if you do not have it yet. Both apps Call Recorder and Call Recorder Key have to be installed on the phone. Then choose “USE KEY” option. Activation will be done automatically after that.